RL Grime has a tough act to follow after every Halloween when he spoils the world with his annual mix. The producer gave us a special preview today in preparation for a sick Christmas gift- a one-minute teaser for his Nova remix album. In the video, he lists the remixers and gives us a sick (droplets) breakdown of one of the remixes. 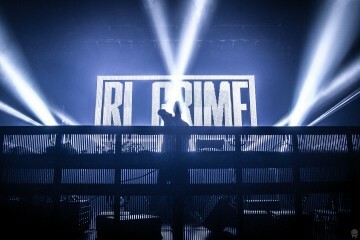 RL Grime teased the full list of remixers this past week: Hex Cougar, Enschway, Part Native, Away, Myrne, Tynan, Eptic, 1788-L, ODEA, K?D, Said the Sky, Cozway, Quix, Devault, Montell2099, Dabow, Alexander Lewis, BLANKE, Valentino Khan, Shadient & WAVEDASH, Vincent, and Heimanu. 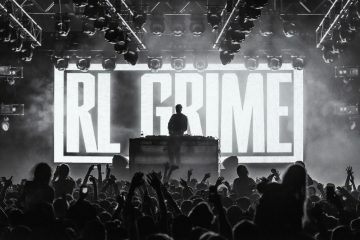 Volume 1 of RL Grime’s NOVA remixes is out officially on Friday, but some artists have started to drop their remixes early to get ahead of the pack, including 1788-L. The mysterious producer dropped his ‘Era’ remix a few days early to get the ball rolling on this epic remix package, which you can listen to now down below. News of each remixer and audio previews are slowly creeping up in sets, but Volume 1 is out in just a couple of days. Check the full tracklist below and let us know what you think about the coming package on Twitter @GlobalDanceElec.